?Ah GMG? When to come when to go. Nobody know.? At least the guy had a sense of humour. I?d woken up at a ridiculous hour to get to the airport on time. The flight was scheduled at 6:45 am. Reporting at 4:45. Putting my battered arm in a sling, I had set off in pitch darkness. There were no counters marked GMG at the airport, but asking around they pointed me to row 4. The monitors showed KU, the code for Kuwait Airways, but there were other passengers waiting for the same flight, so it looked as if I was in the right place despite the empty counter. I was heading to Chennai to train Indian photojournalists in a workshop arranged by the World Association of Newspapers WAN-IFRA. I hadn?t fully recovered from my recent accident, but since the participants were from all over India, and they had also advertised my lecture widely, it would have been awkward for them to change dates. Sadek, my physiotherapist had given me a big list of don?ts. There was no reference to standing at empty airline counters. The Haiku response by the airport official didn?t really help. 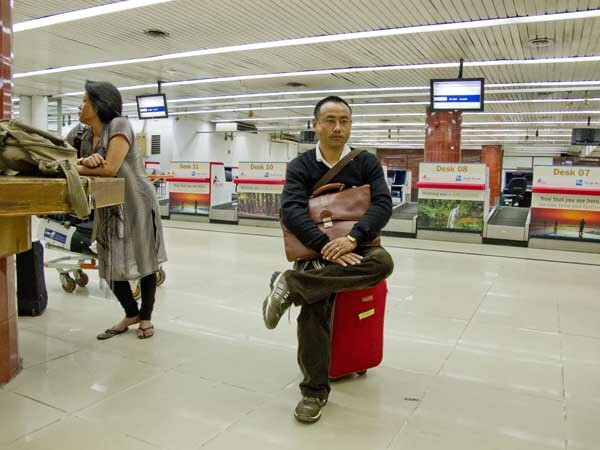 Passengers waiting from early morning for non-existent GMG flight. I did have a close connection and thought I would check. ?No general enquiry counter. Not inside the airport,? explained another airport staff. 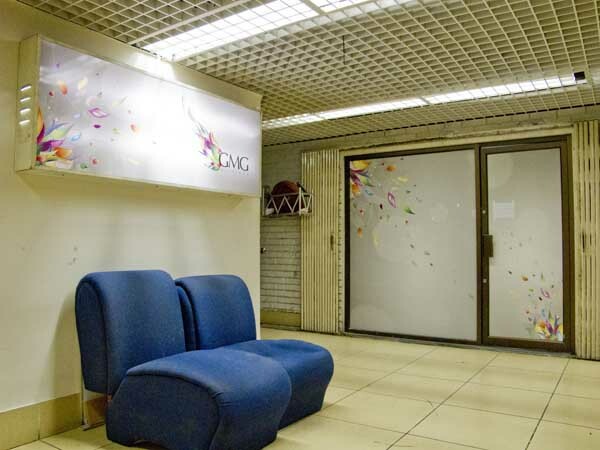 ?Try the GMG office on the 2nd floor.? The 2nd floor office was also closed. 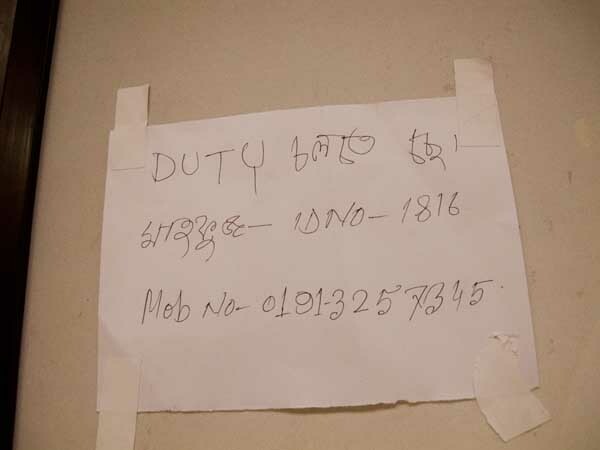 A hand written note in Bangla, gave the number of Mosaddek. A man answered, ?I know nothing about the flight, please try the ground staff. Office in other terminal next to the Gulf office on 4th floor.? The journey continued. A young Indian man, also a passenger, joined me. The GMG office along the way was closed. ?There is one round the corner,? said a man in the corridor. ?That flight?s been closed for 4-5 months? said Mr. Anwar when we finally found a GMG office that was open. Both he and his colleagues were very helpful. ?We?ll endorse your ticket and make sure you get there,? they said. ?We don?t get passengers. There were a few flights during Durga Puja, but otherwise we don?t operate this route. Please get your ticket and we?ll arrange something.? So with my dud arm in sling and my young friend in tow, off I went.